khushi and arnav. . Wallpaper and background images in the Iss Pyar Ko Kya Naam Doon club tagged: khushi and arnav iss pyaar ko kya naam doon. 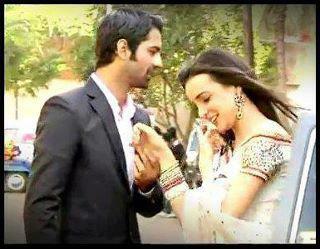 This Iss Pyar Ko Kya Naam Doon photo contains business suit. There might also be suit and suit of clothes.